Shhhh! Don't tell anyone about this mouth-watering book from the New York Times bestselling creators of Dragons Love Tacos and Robo-Sauce! The story of what happens when a grumpy old man and some mischievous squirrels match wits—with hilarious results. All is calm in old man Fookwire’s yard until new neighbors—Little Old Lady Hu and her cat, Muffins—move in next door. Muffins is one mean dude! He terrorizes the birds, interrupts Fookwire’s painting, and ties the squirrels’ tails together. Fookwire is upset, but not nearly as upset as the squirrels, who devise an ingenious plan to stop Muffins cold. The tongue-in-cheek text is perfectly complemented by the quirky, inventive illustrations. 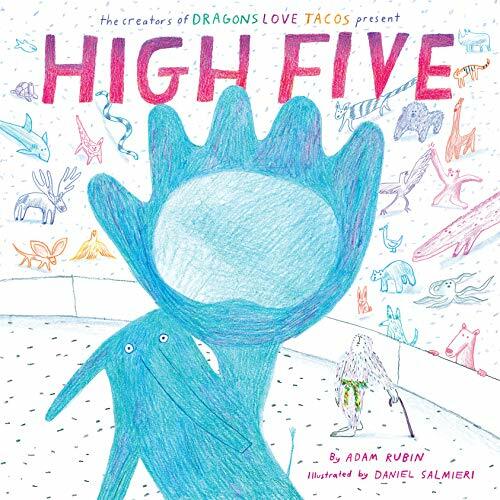 Fans of the best-selling Dragons Love Tacos will devour Adam Rubin and Daniel Salmieri’s newest story, a hilarious picture book about robots that magically transforms into a super shiny metal ROBO-BOOK.